We are a unique name in the industry, devoted towards offering the best quality range of Standard Battery Charger. 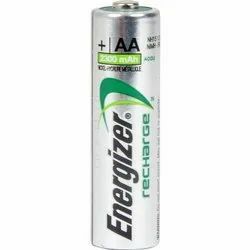 Our organization offers a variegated range of AA Battery Charger. To meet the precise demands of our clients, we offer a wide range of four cell chargers. Manufactured following international industry standards, these Products are compact in design and shows high performance. Apart from this, we also quality check these Products on various parameters to deliver flawless range to our clients. We engage ourselves in offering highly efficient battery charger that is mainly used for charging the batteries of various capacities. These battery chargers are most suitable for both domestic and industrial users. We offer these battery chargers in the leading industrial price. We are one of the leading names in industry, engaged in offering a wide range of Cell Chargers in industry. For AA size chargeable cells. 2 to 4 cells can be charged at a time. 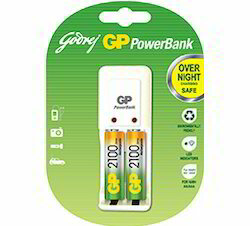 9V batteries also can be charged. We offer our range of these chargers at economic rates and in varied specifications that meet client's specific requirements. - Low Charging current for longer battery life since this unit uses a relatively low charging current the lifetime of your batteries is maximized.